In less than four months, beginning with a staff of five, an obscure office buried deep within the federal bureaucracy transformed the nation's hospitals from our most racially and economically segregated institutions into our most integrated. These powerful private institutions, which had for a half century selectively served people on the basis of race and wealth, began equally caring for all on the basis of need. The book draws the reader into the struggles of the unsung heroes of the transformation, black medical leaders whose stubborn courage helped shape the larger civil rights movement. They demanded an end to federal subsidization of discrimination in the form of Medicare payments to hospitals that embraced the "separate but equal" creed that shaped American life during the Jim Crow era. Faced with this pressure, the Kennedy and Johnson Administrations tried to play a cautious chess game, but that game led to perhaps the biggest gamble in the history of domestic policy. Leaders secretly recruited volunteer federal employees to serve as inspectors, and an invisible army of hospital workers and civil rights activists to work as agents, making it impossible for hospitals to get Medicare dollars with mere paper compliance. These triumphs did not come without casualties, yet the story offers lessons and hope for realizing this transformational dream. This book is the recipient of the Norman L. and Roselea J. Goldberg Prize from Vanderbilt University Press for the best book in the area of medicine. David Barton Smith, Professor Emeritus in Health Administration at Temple University, is the author of Reinventing Care: Assisted Living in New York City (also published by Vanderbilt University Press) and Health Care Divided: Race and Healing a Nation. He is assisting in the production of a companion documentary supported by the National Endowment for the Humanities. "In a fascinating narrative built on historical and social science research and informed by extensive interviews, Smith documents the important role of Medicare and its implementation on the extension of civil rights and improvement in access and health care for African Americans and other disadvantaged groups. He illuminates the less appreciated role of the civil rights movement in incentivizing the momentum toward health reform. There is something new and valuable here for anyone, however well informed, to learn about the difficult evolution of the health safety net and social justice." "The Power to Heal brings to life the neglected history of one of the greatest victories of the civil rights struggles—the successful confrontation with the institutional racism and racial segregation long entrenched in America's hospitals, north as well as south, that had relegated African American patients to basement wards and inferior treatment. David Barton Smith's brilliant account reads like a political thriller, detailing the ways in which a small group of determined activists for social justice, working quietly in the halls of government, used the leverage of new social programs—Medicare and Medicaid—to accomplish a great social change. This story speaks to the future as well as the past." "David Barton Smith is a superb storyteller, and in The Power to Heal he has quite a story to tell. It is the story of the racism at the foundations of the American health care system and of the men and women who dedicated—and sometimes gave—their lives to fight it. In particular, Smith tells how the implementation of Medicare became the most successful desegregation program in American history. While racial disparities persist in American health care, that they are now understood as a problem rather than the natural order of things is attributable to the heroic efforts he describes." 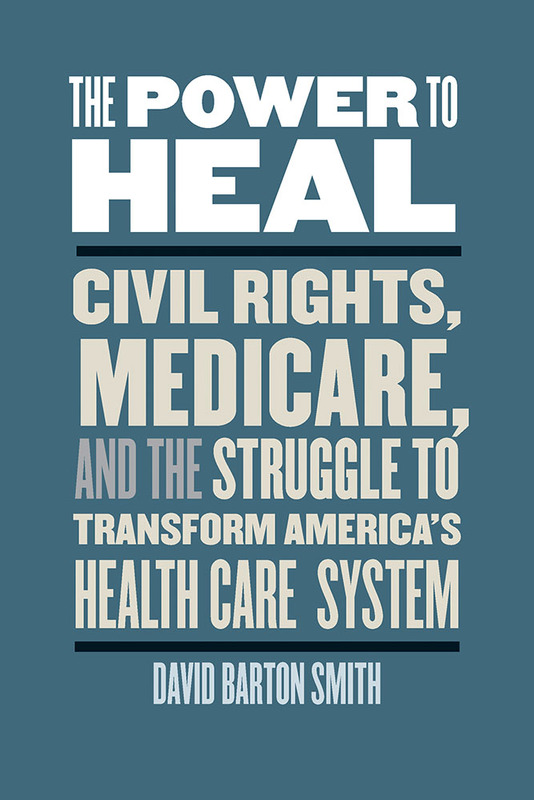 "David Barton Smith is one of the best scholarly guides the country has to the complicated, less well-known implementation of Medicare in the context of the civil rights struggle."